Three days left. That’s three more days until we come to the end of another calendar year. And three more days that I am self-contracted to create a post for this blog. Today I make a return to an earlier thought, a revisitation of an earlier post. To settle some unfinished business, if you will. If you have been following along, or casually paying attention, I couldn’t be more grateful or gratified, and if you happened to have caught my very first post (Dec. 1 / Breaking the Seal), you will know that my goal for this curation was to “shoot it, write it, post it” every single day of this month. It’s been a real challenge, let me tell you, and revelatory. I learned a lot about myself and a lot about my so-called process. I always wanted the theme of each post to be in service of something of genuine interest, and not merely to meet my personal agenda of hitting a daily quota. It was also important to me that the photos supported the words, or vice versa, and I hope I succeeded reasonably well in both regards. I know that some days were better than others. There is nothing to which that chestnut does not apply. Some days I kind of had a plan in advance, like going to the National WWII Museum on December 7th. Other days were more improvisational, shall I say, and with respect to my self-imposed deadline, they could get downright desperate. But there were a few days when I had a plan, such as an interview with a friend, that got derailed by circumstance, as these things do, and those were the times I had to come up with an alternative idea at the last minute. In a couple of instances—my Q and A’s with both Derrick the printmaker and Will the cabinetmaker—I managed to make them up at a later opportunity. There was one day that really kind of left me hanging, though, and that was the day I had intended to shoot the festivities at the Celebration in the Oaks in City Park. It rained very hard and very long that day, and they, rightfully so, closed the attraction down. I ended up shooting some night scenes up there anyway, and that post was fine, but it was definitely an example of the angsty aggravation of flying by the seat of your pants with the clock running down. 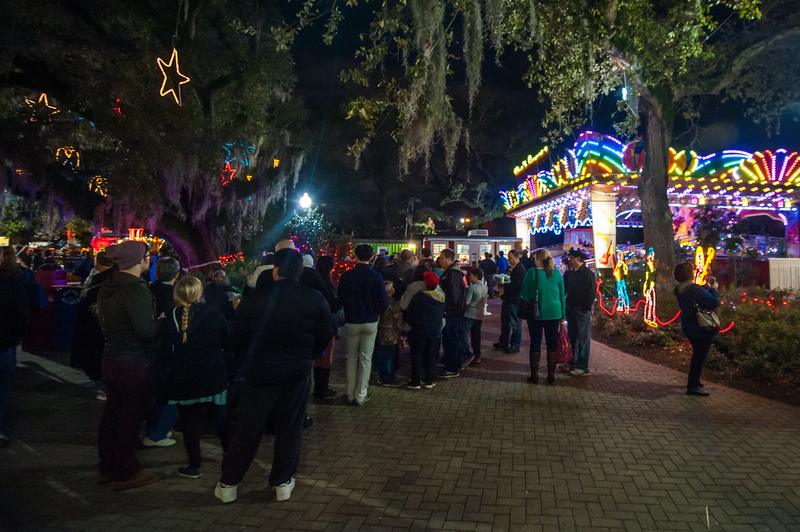 “Carnival” @ the Celebration in the Oaks, New Orleans City Park, 12/29/2014. Format: digital via DSLR. In the interest of establishing closure in that circle as it comes around again, I’ve decided to shoot a few pictures tonight when I attempt to revisit the CITO. I’m going with a friend anyway, so I figured it was as good a time as any to get those shots and call it a day. Call it a post. Call it a year. 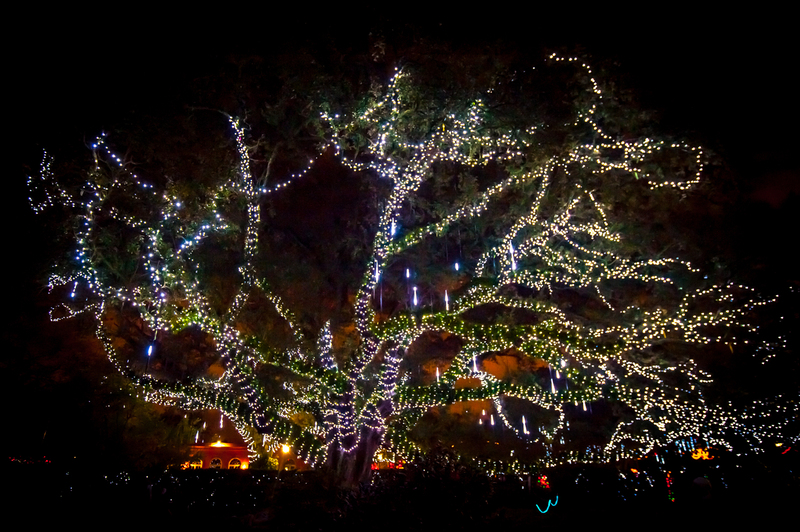 If you’d like to know a bit more about the Celebration in the Oaks thingie, I did spend some time talking about it back on my December 23rd post, and you can also look directly at their website. 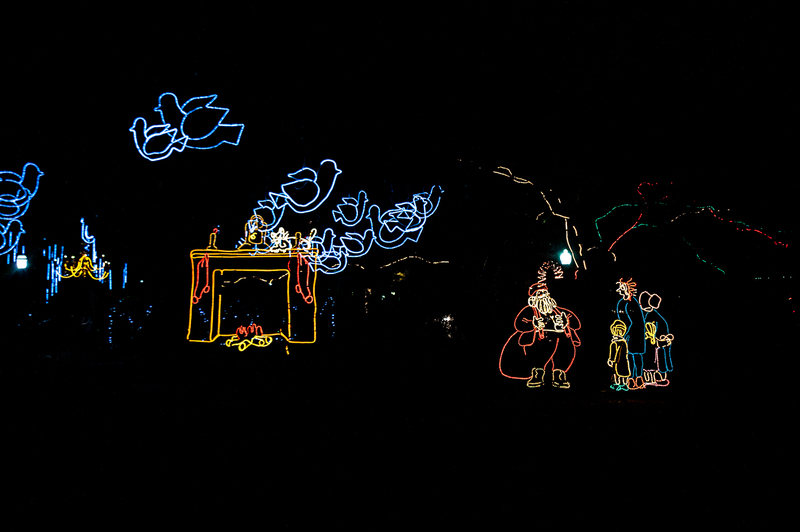 As you can see from these pictures, the event is all about bringing out the lights, as well as bringing out the crowds. It was a very packed Monday night as the Celebration enters it’s final week for this season. 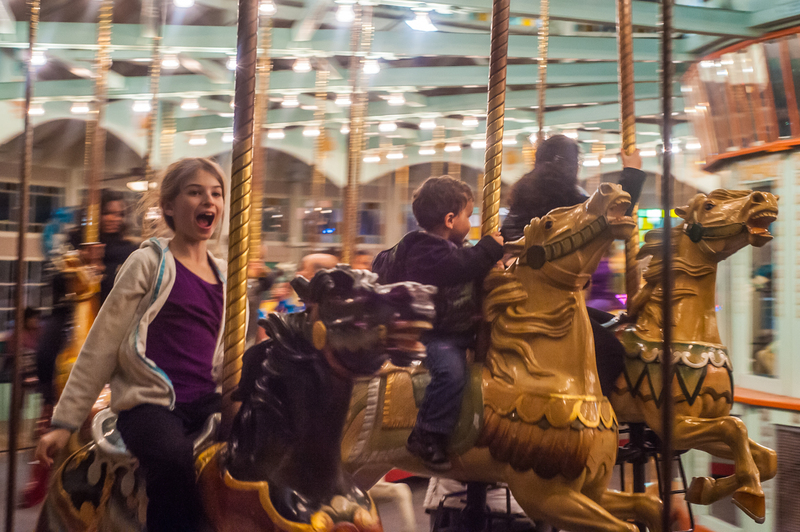 “Carousel” City Park, New Orleans. 12/29/2014. Format: dig. via DSLR. “Doves and Christmas” CITO, New Orleans. 12/29/2014. Format: digital via DSLR. 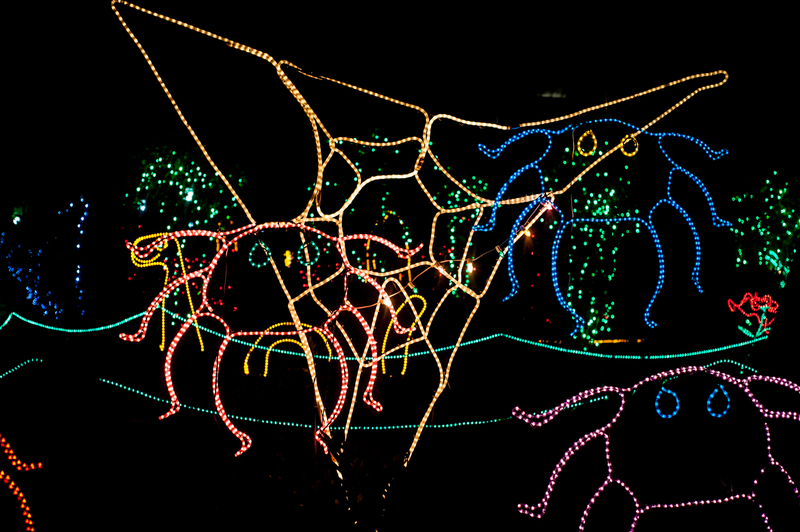 “Dragonfly” CITO, 12/29/2014. Format: digital via DSLR. 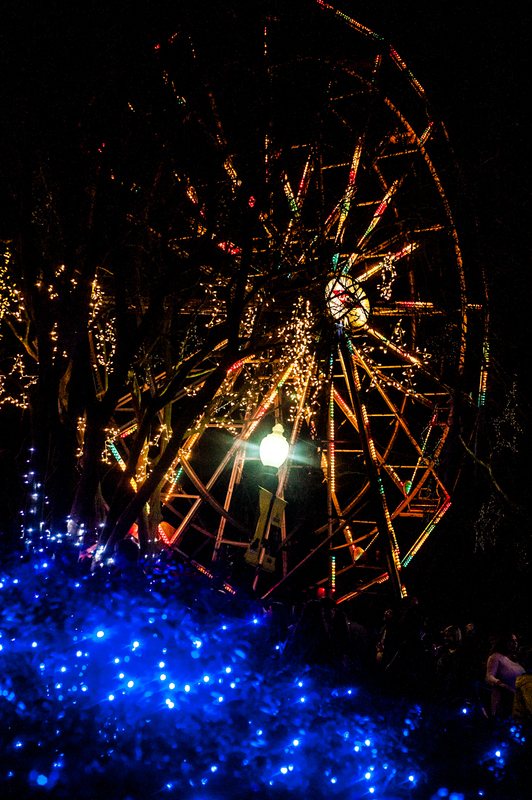 “Ferris Wheel” Celebration in the Oaks in City Park. 12/29/2014. Format: dig. via DSLR. Dec. 28 / iCame, iSaw, iCaptured.